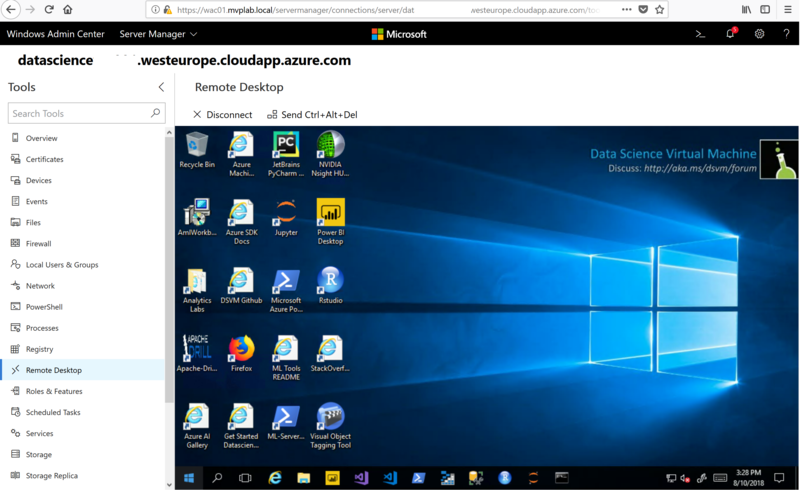 In this talk, they compare the difficulty of tampering with cloud-based models and client-based models. 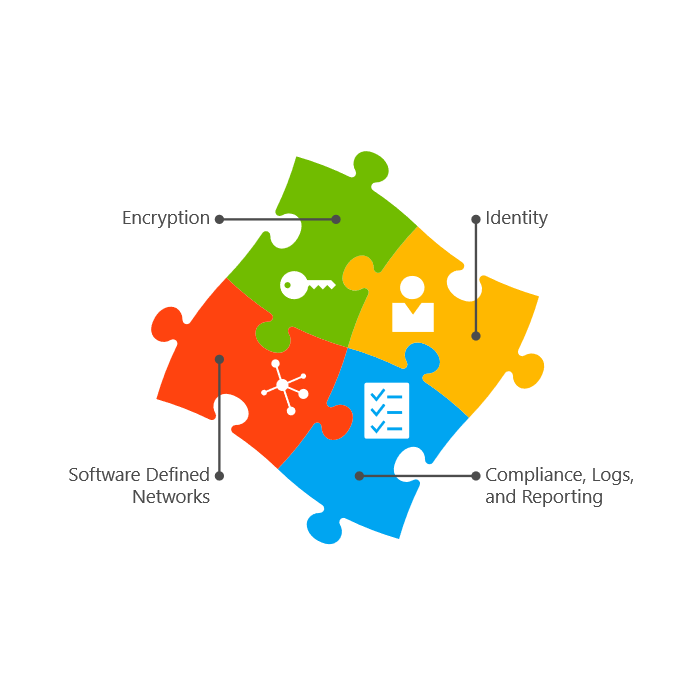 Then discuss how they develop stacked ensemble models to make machine learning defenses less susceptible to tampering and significantly improve overall protection for customers. 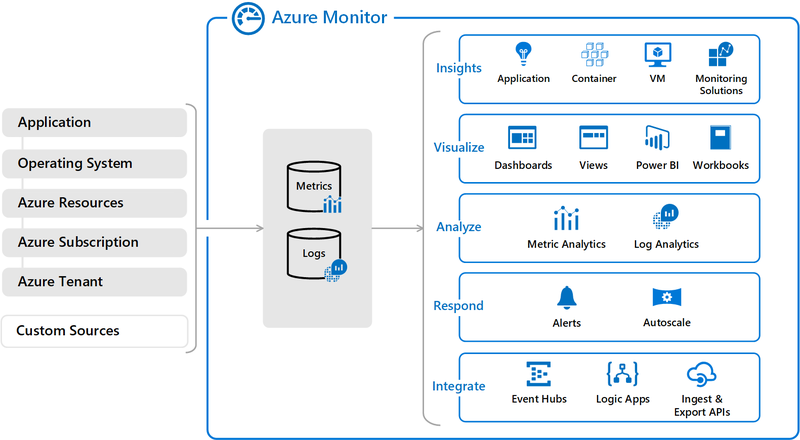 They talk about the diversity of base ML models and technical details on how they are optimized to handle different threat scenarios. 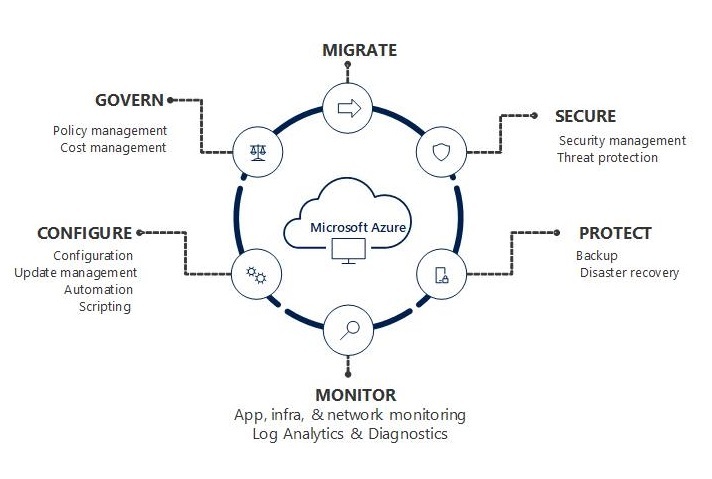 Lastly, they describe suspected tampering activity they have witnessed using protection telemetry from over half a billion computers, and whether mitigation worked. 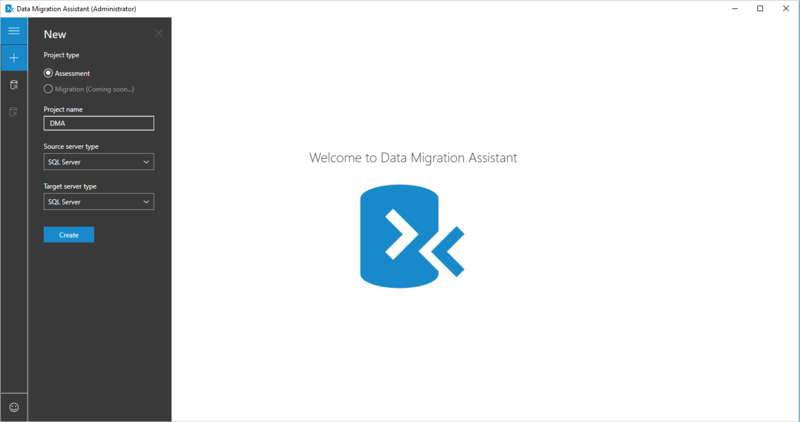 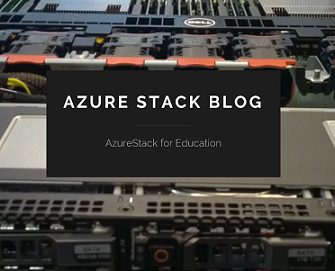 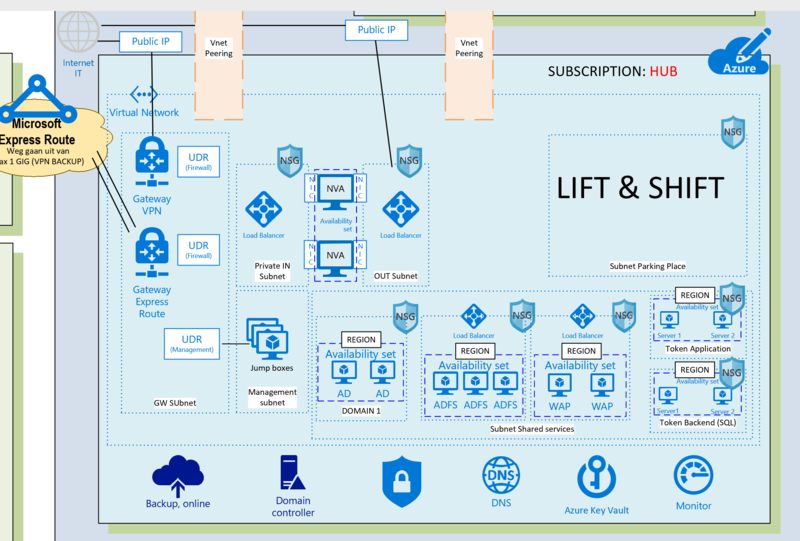 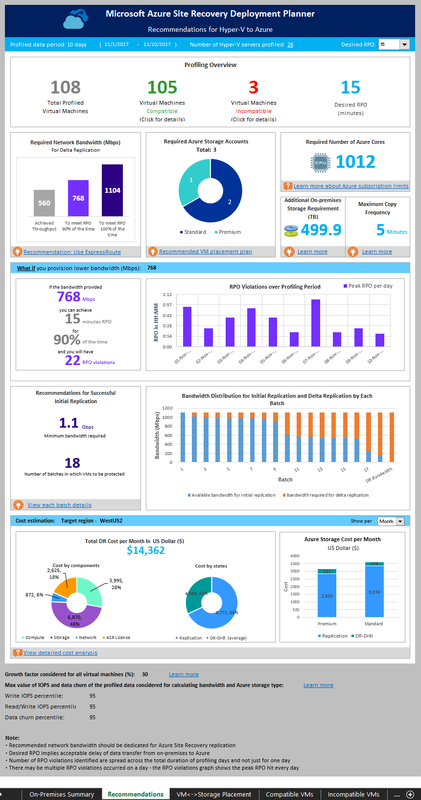 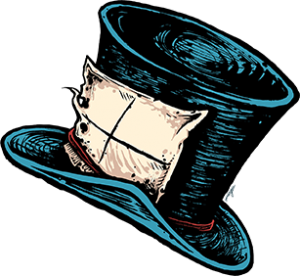 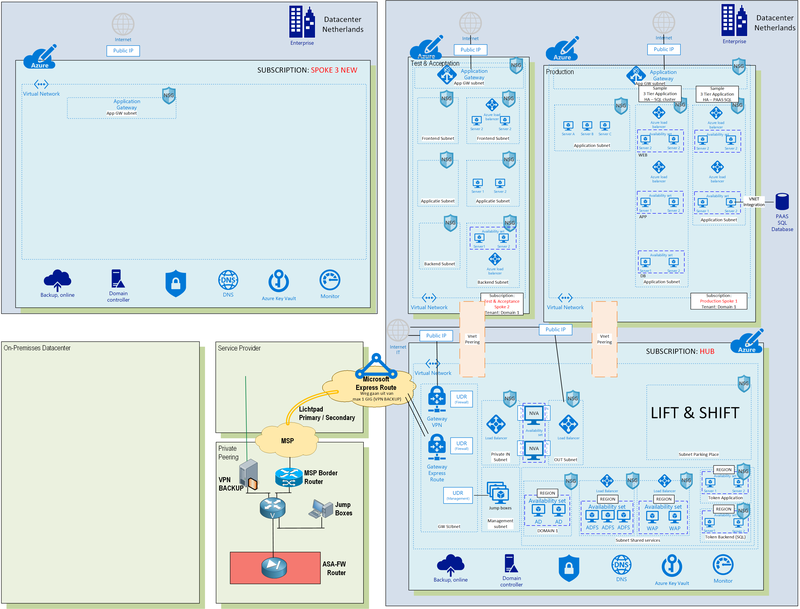 Categories: Azure Security, Hyper-V, Microsoft Azure, Windows Server 2016, Windows Server 2019, WindowsAzure | Tags: Bluehat, Bluehatv18, Cybercrime, Microsoft, MSRC, Security, Threat | Permalink. 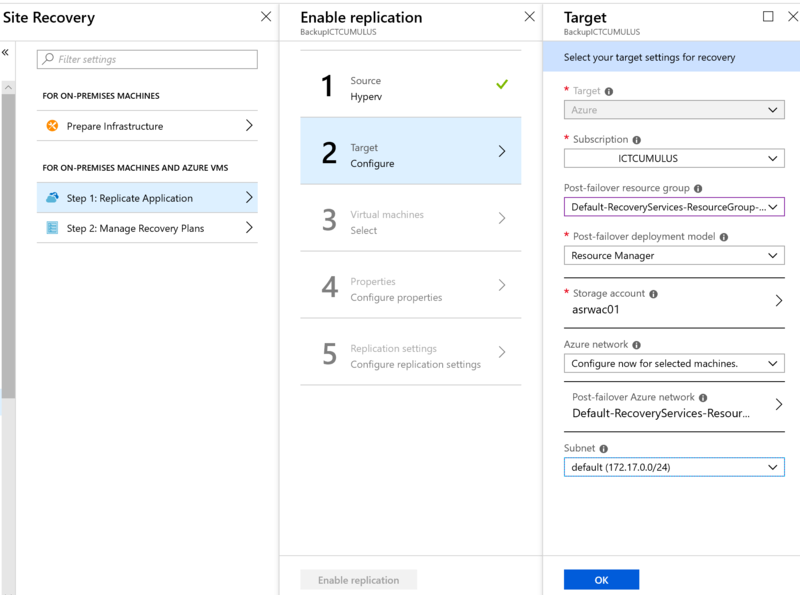 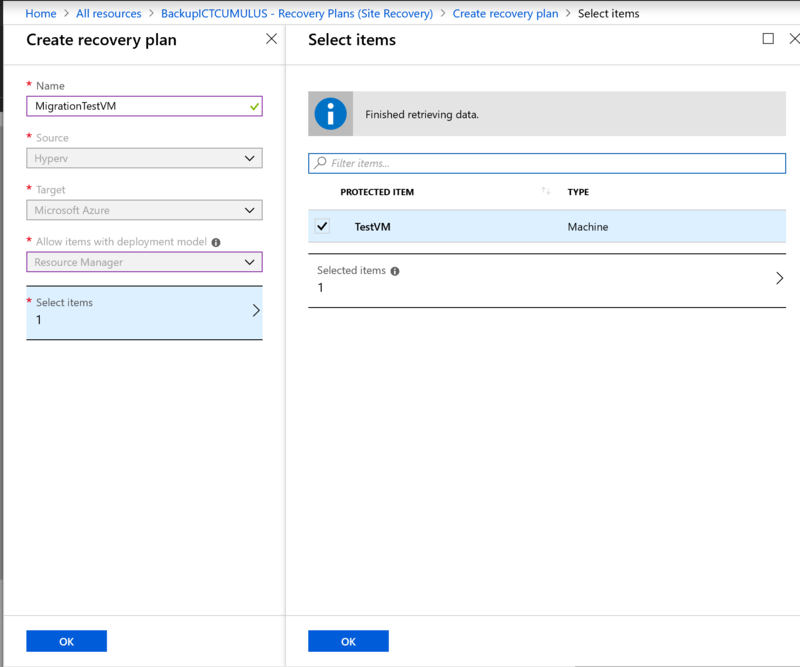 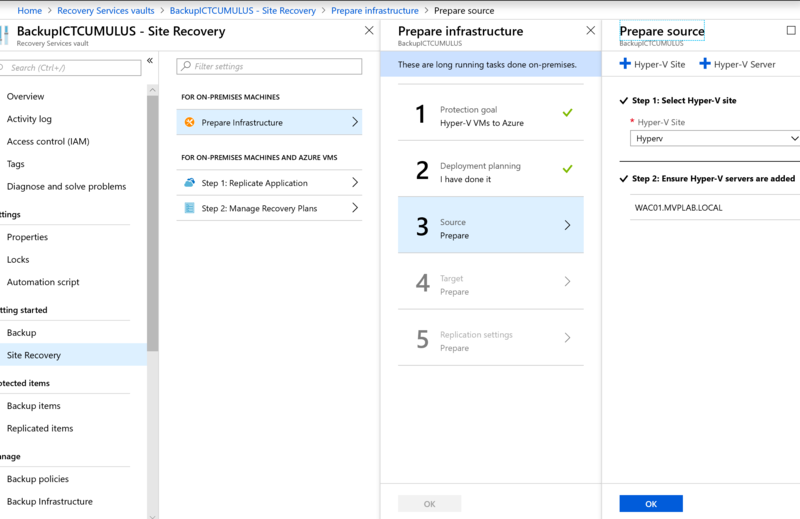 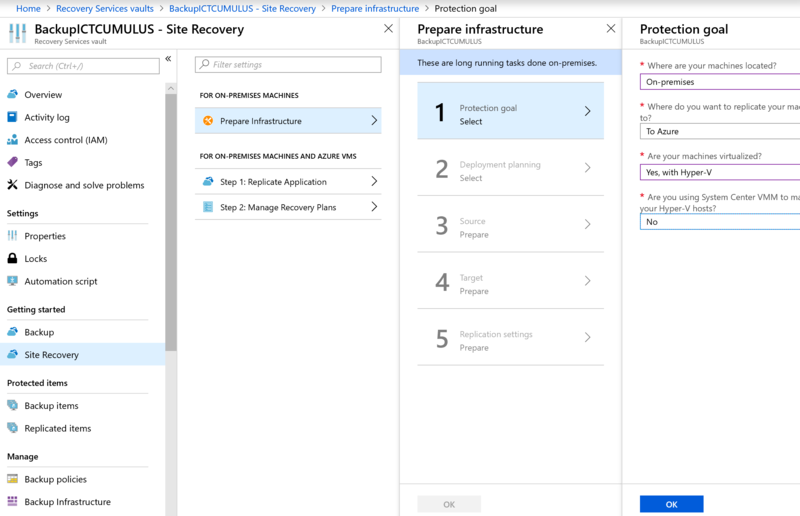 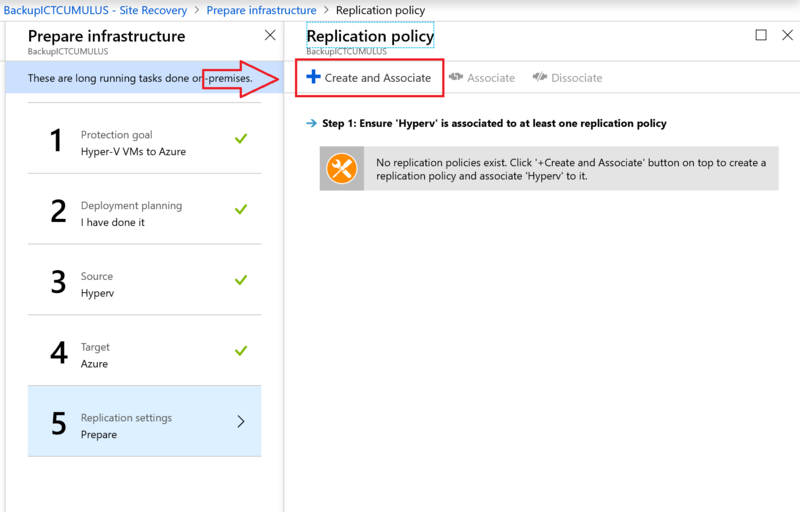 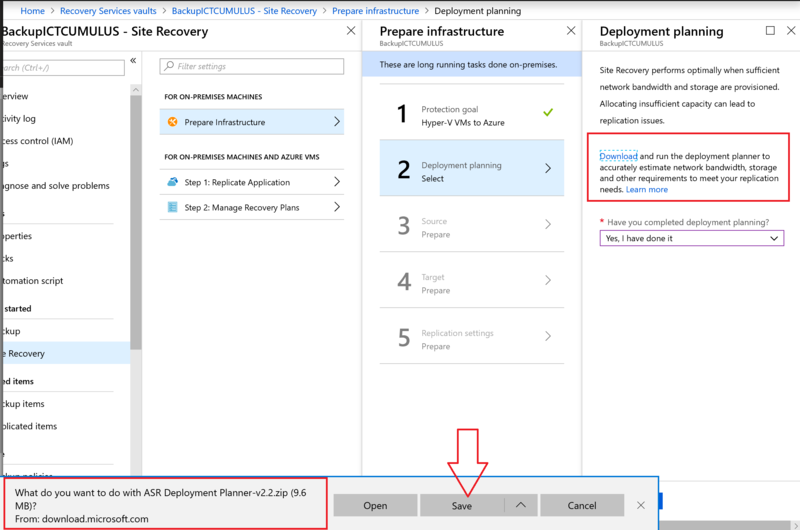 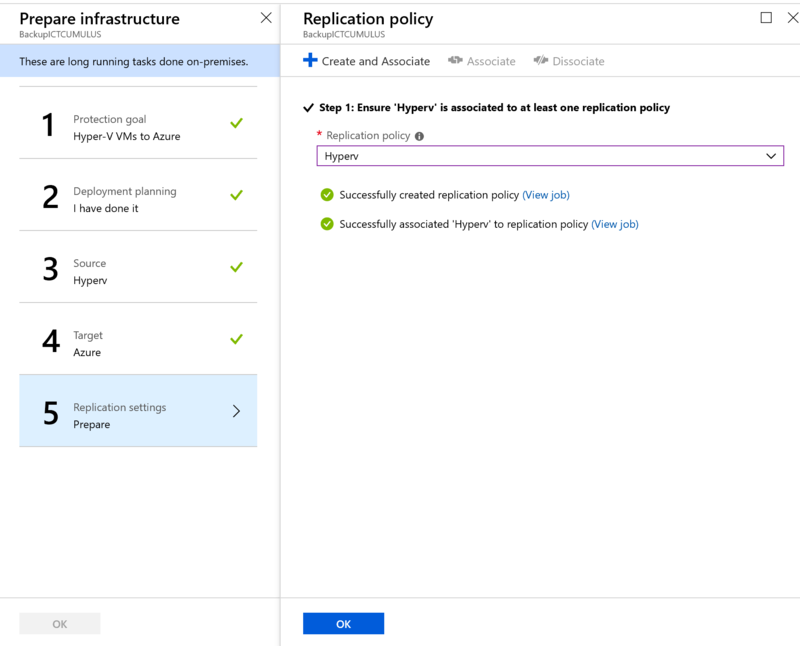 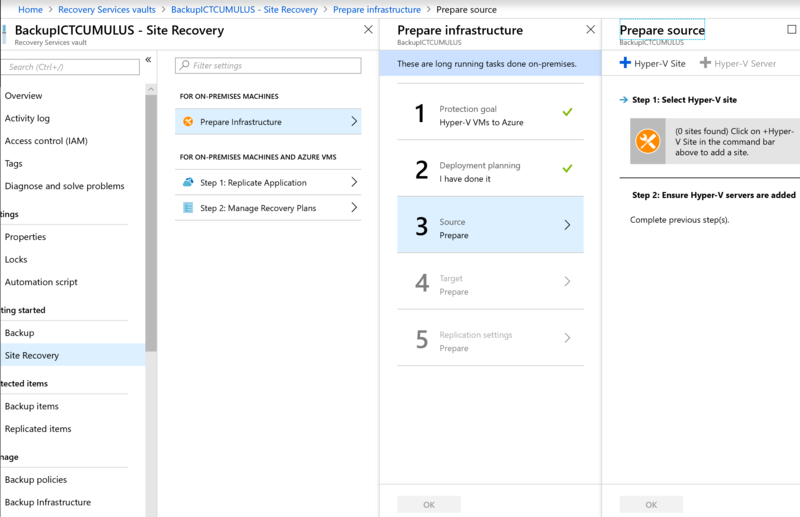 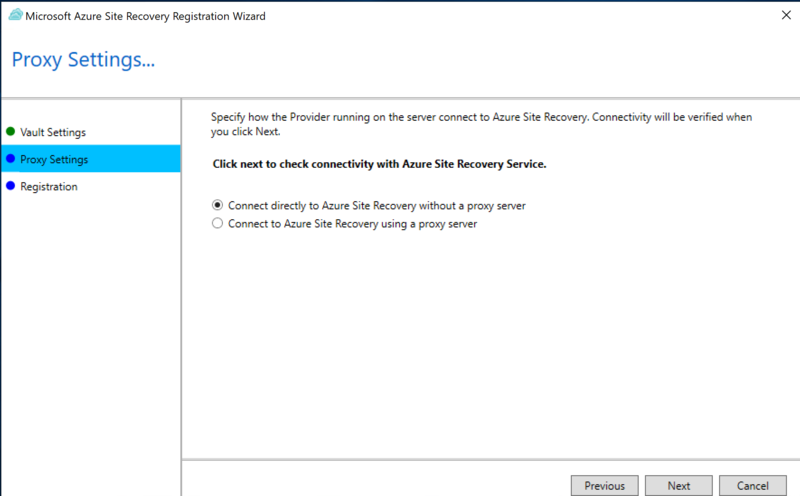 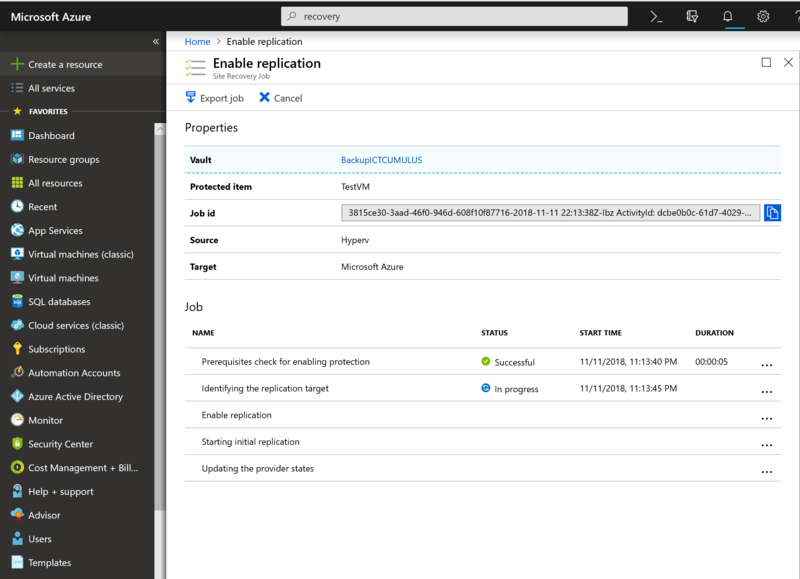 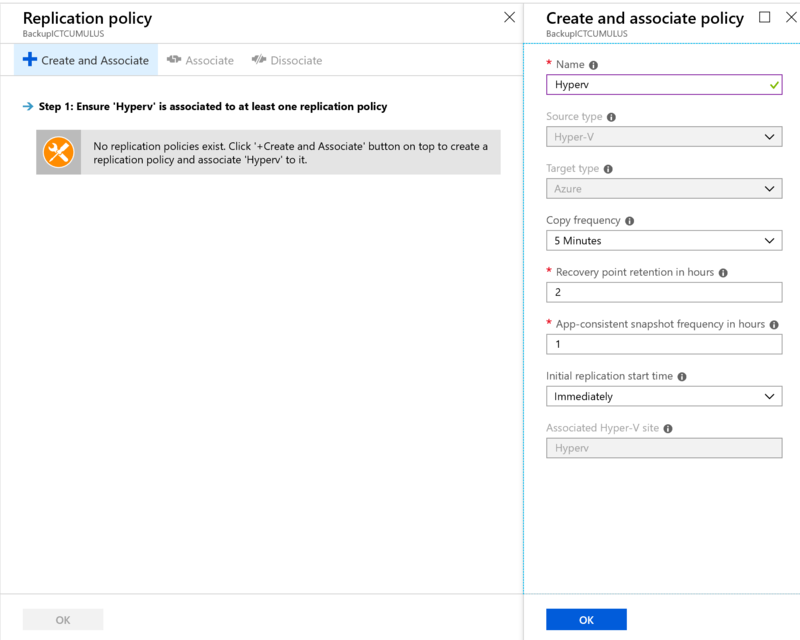 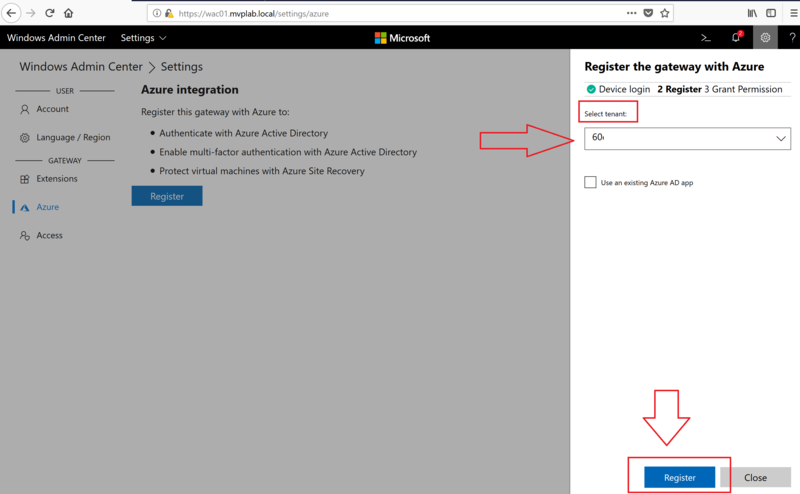 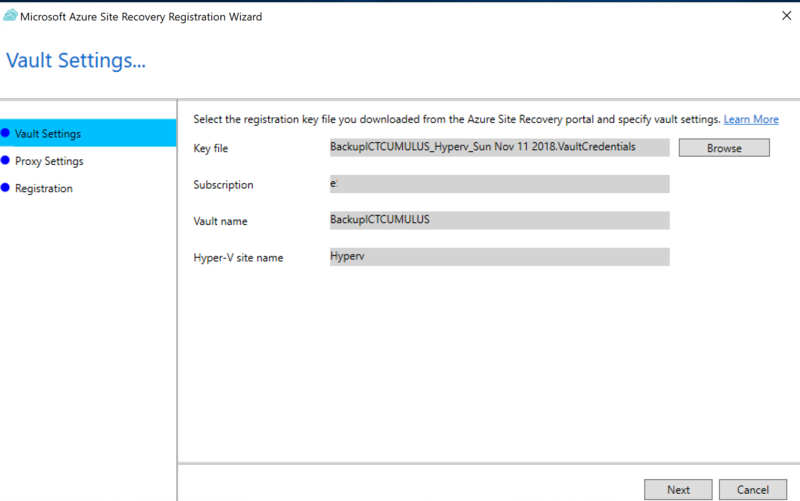 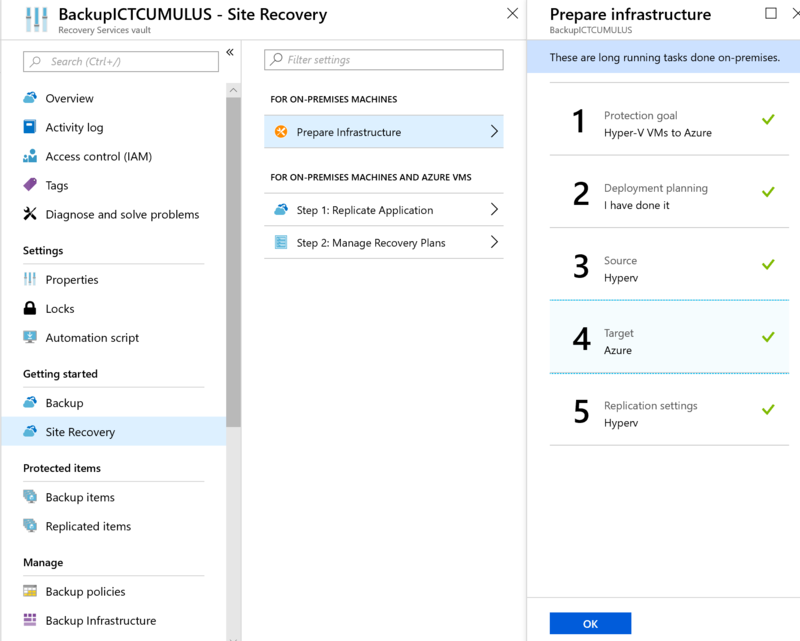 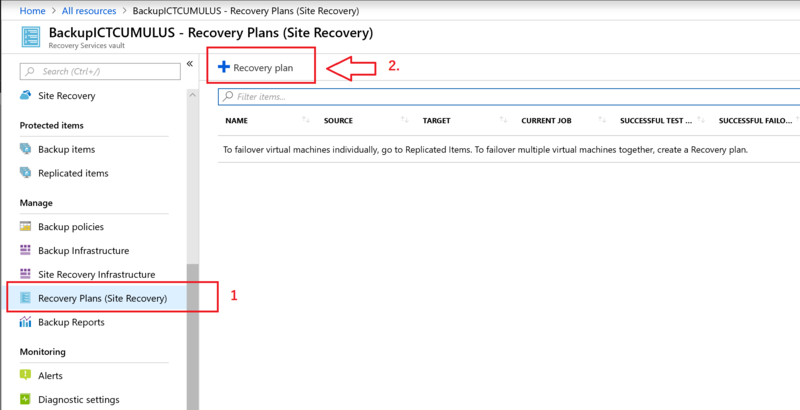 To allow the Windows Admin Center gateway to communicate with Azure to leverage Azure Active Directory authentication for gateway access, or to create Azure resources on your behalf (for example, to protect VMs managed in Windows Admin Center using Azure Site Recovery), you will need to first register your Windows Admin Center gateway with Azure. 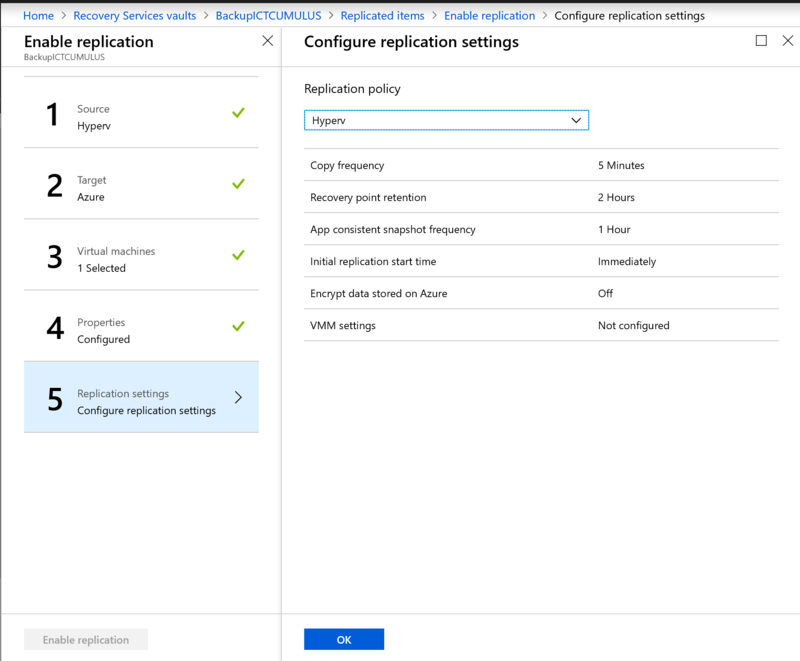 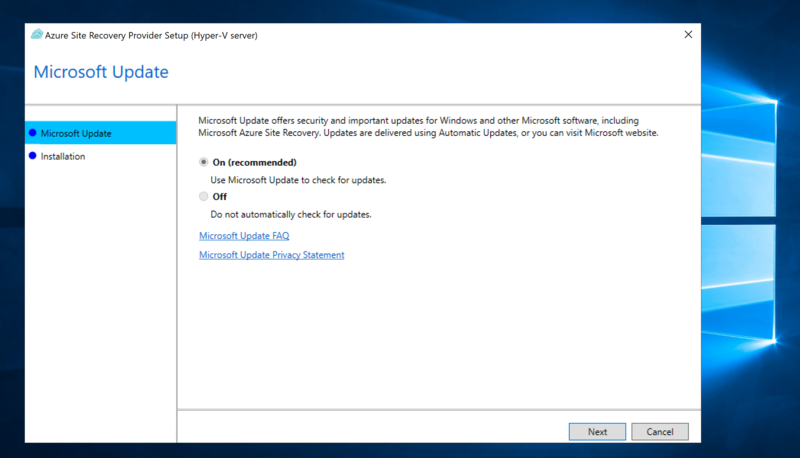 You only need to do this once for your Windows Admin Center gateway – the setting is preserved when you update your gateway to a newer version. 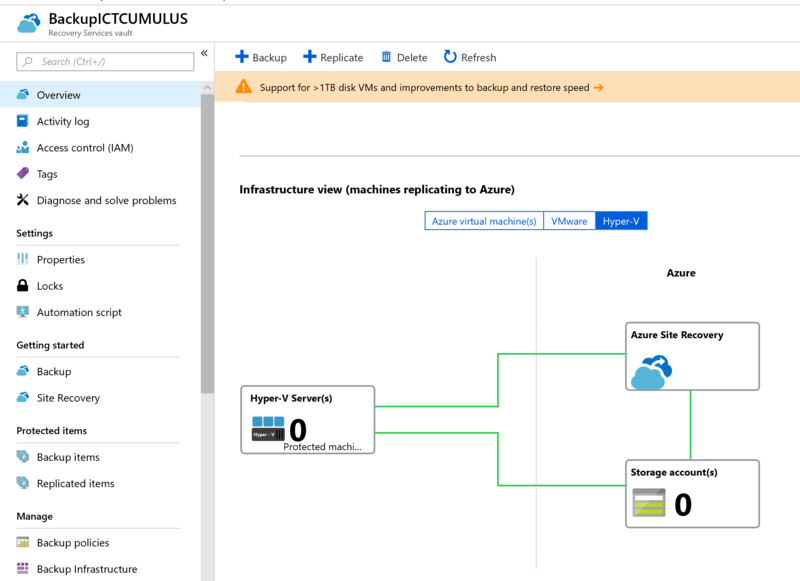 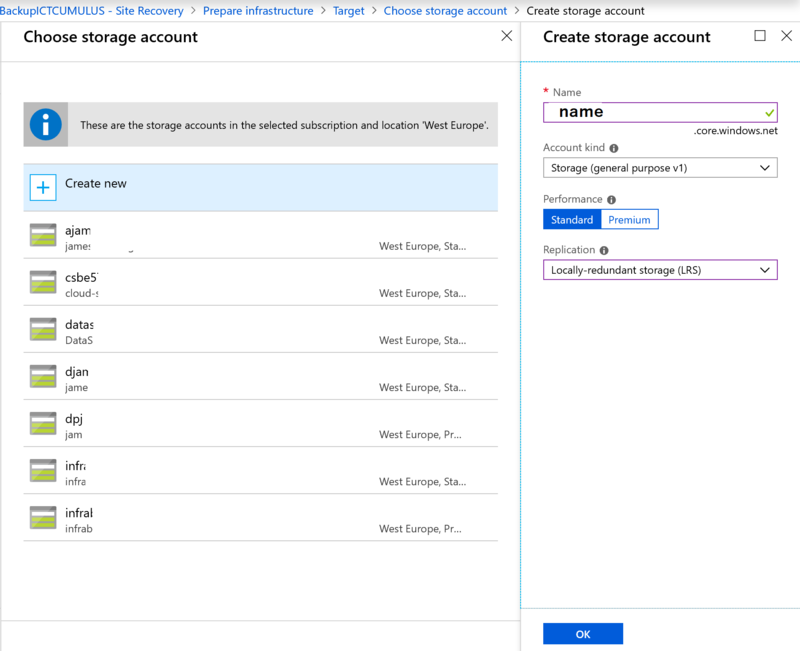 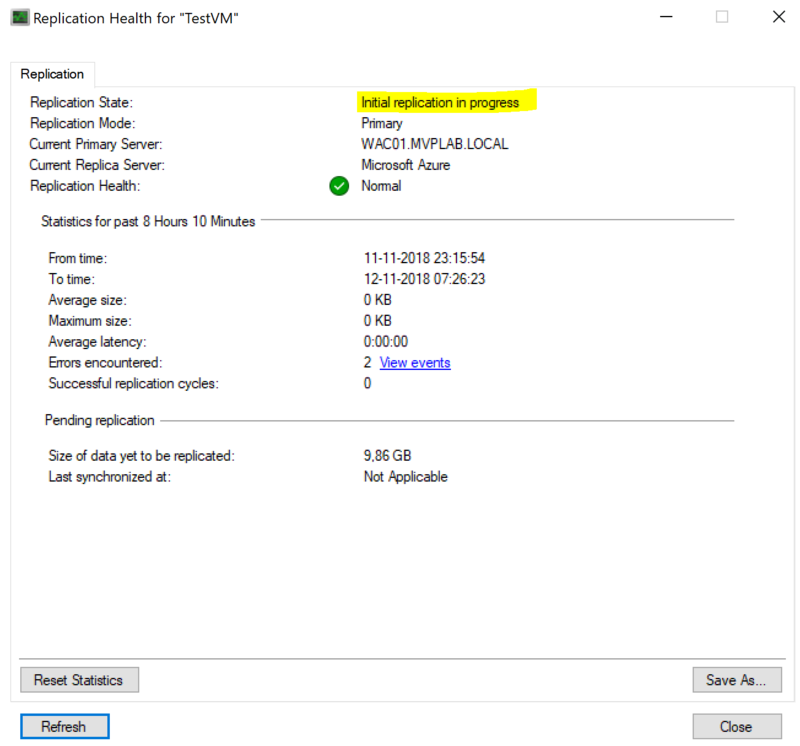 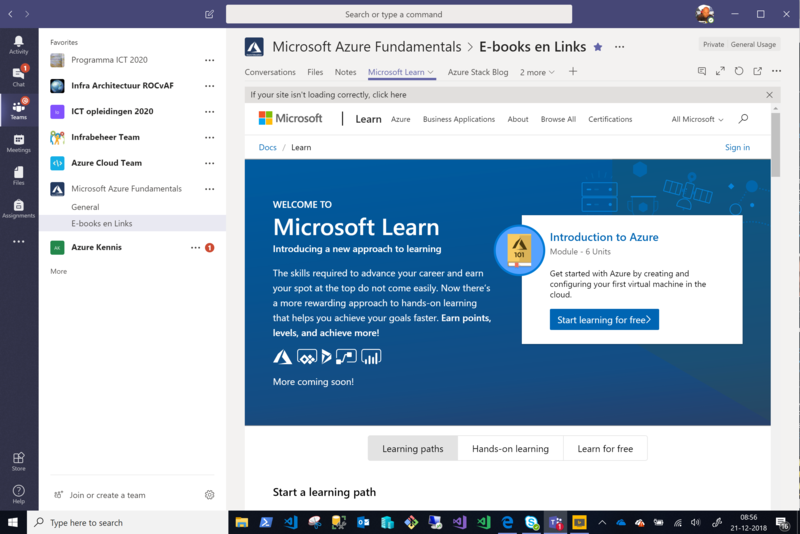 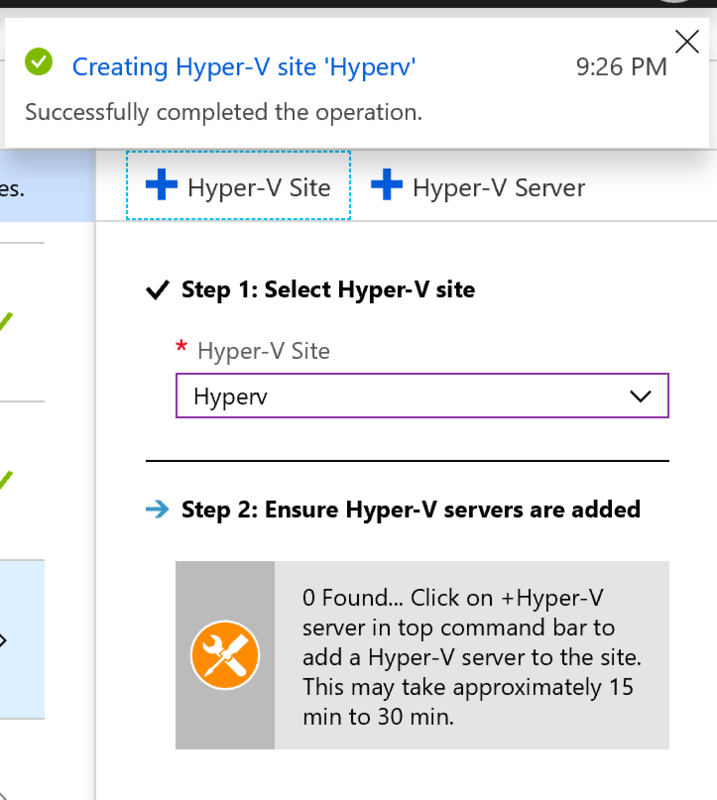 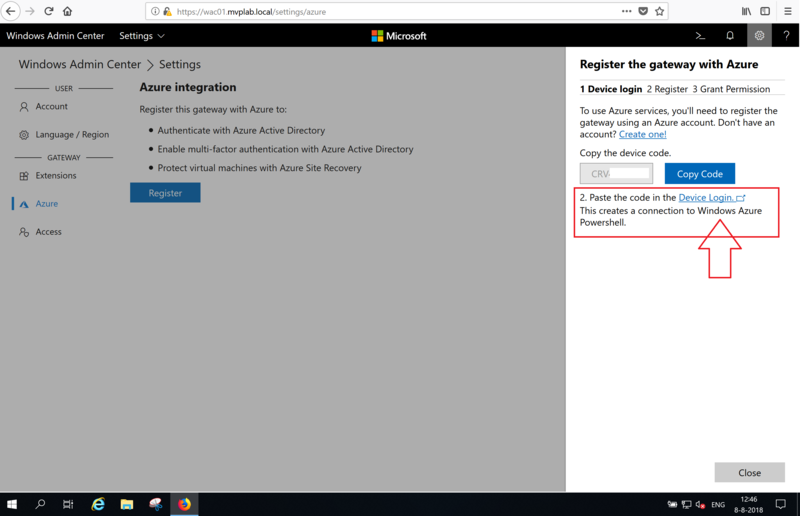 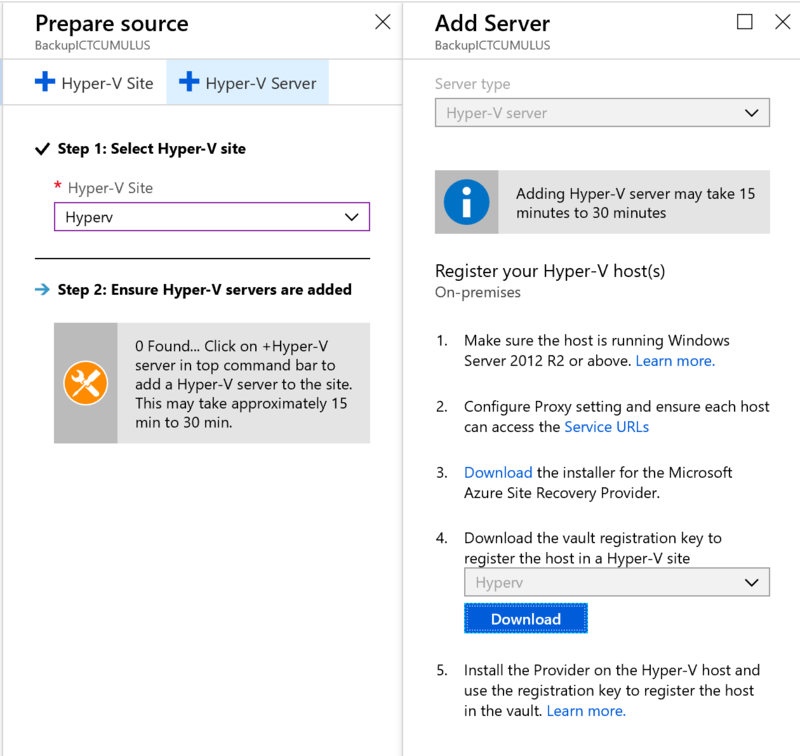 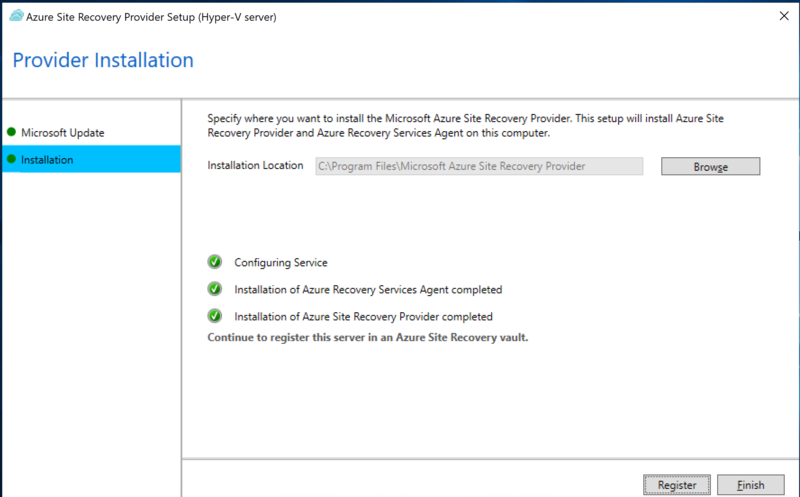 In the following Step-by-Step Guide you will connect Windows Admin Center to your Microsoft Azure Subscription. 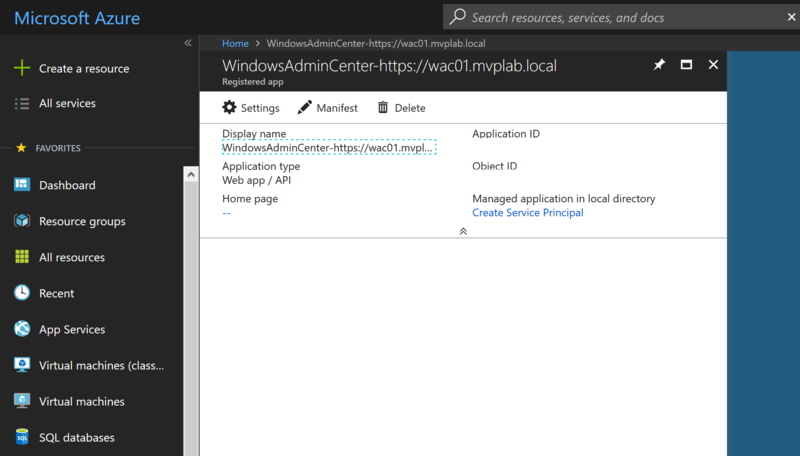 This will make the connection between Windows Admin Center and your Azure Subscription. 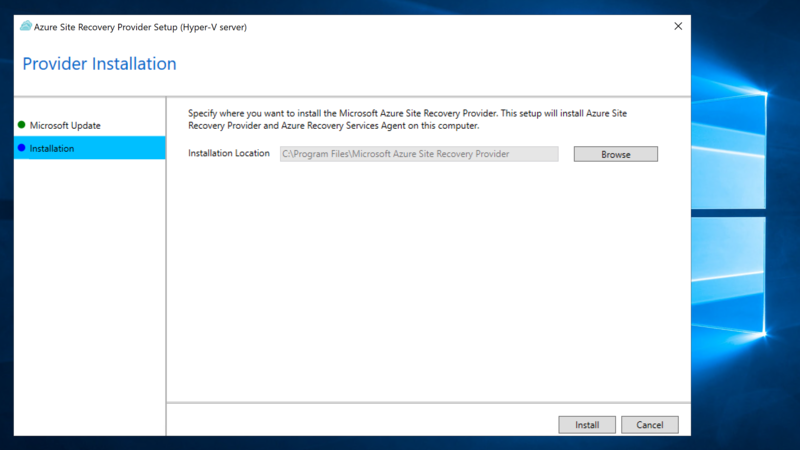 Paste the Code into here and Click on Continue. 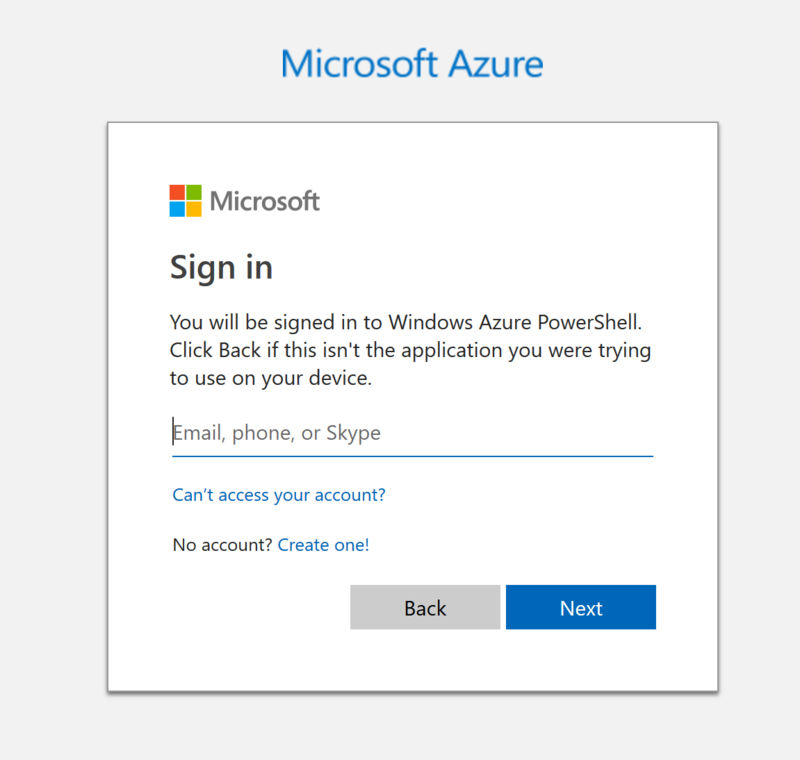 Sign in your Azure Subscription. 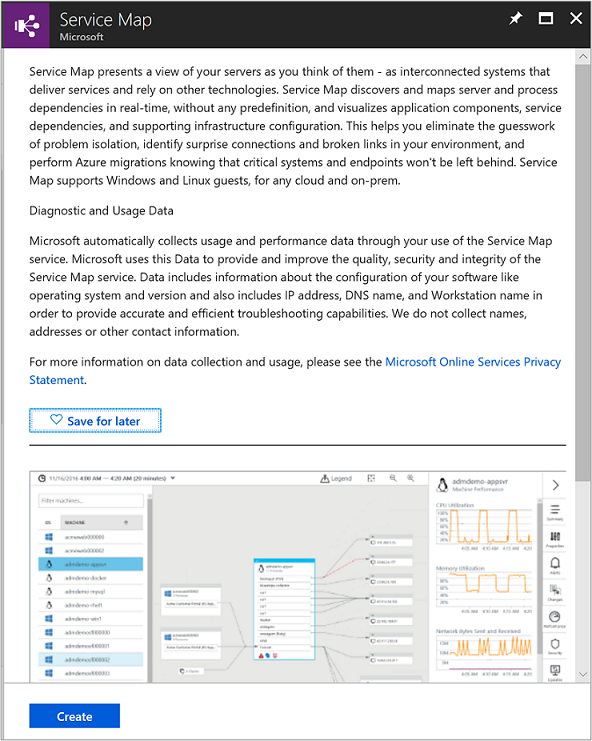 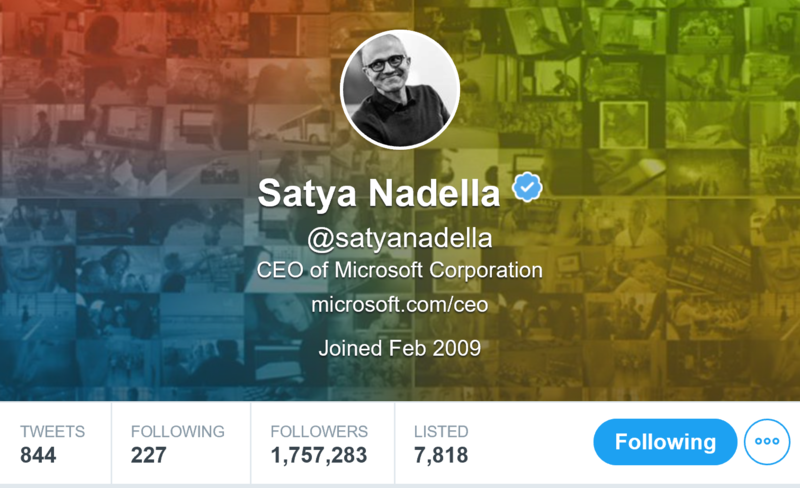 From here you are connected to your Azure Subscription. 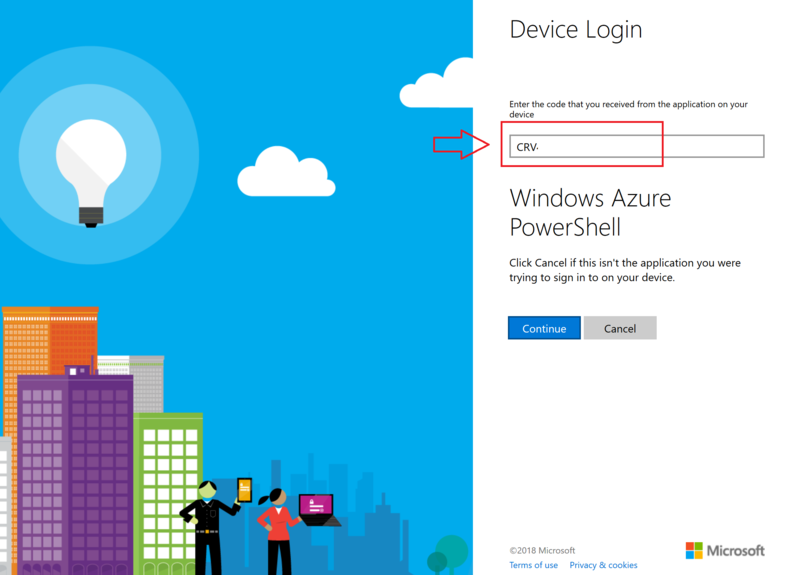 Select the right Azure Tenant and Click on Register. 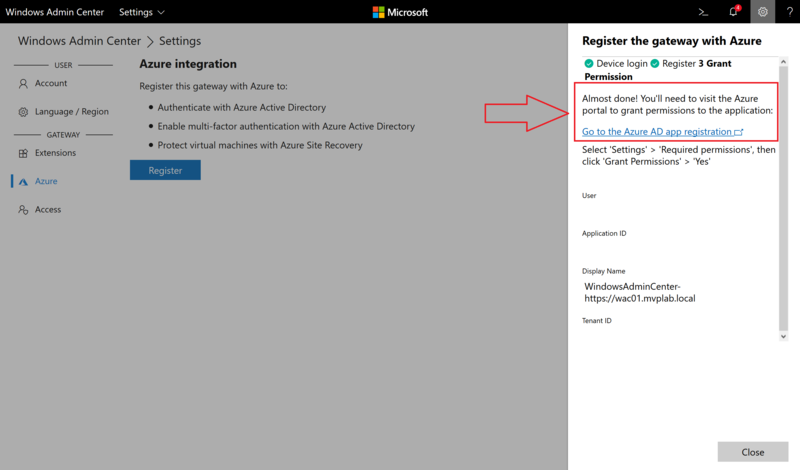 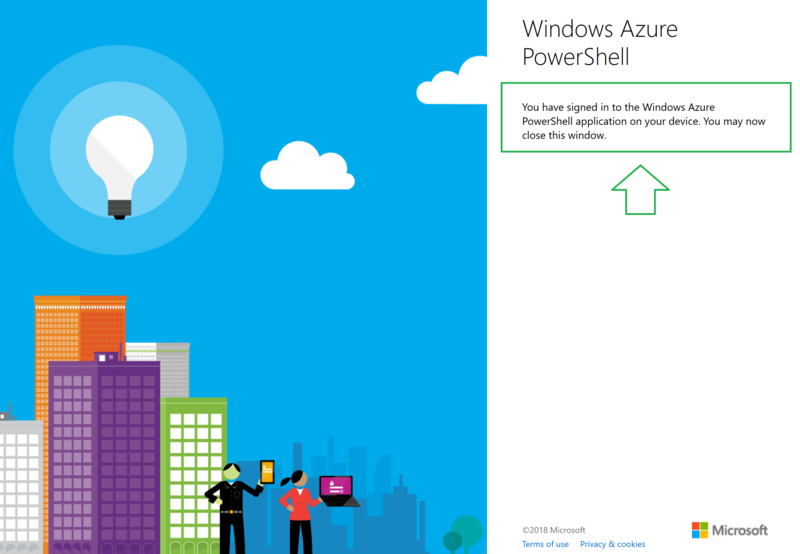 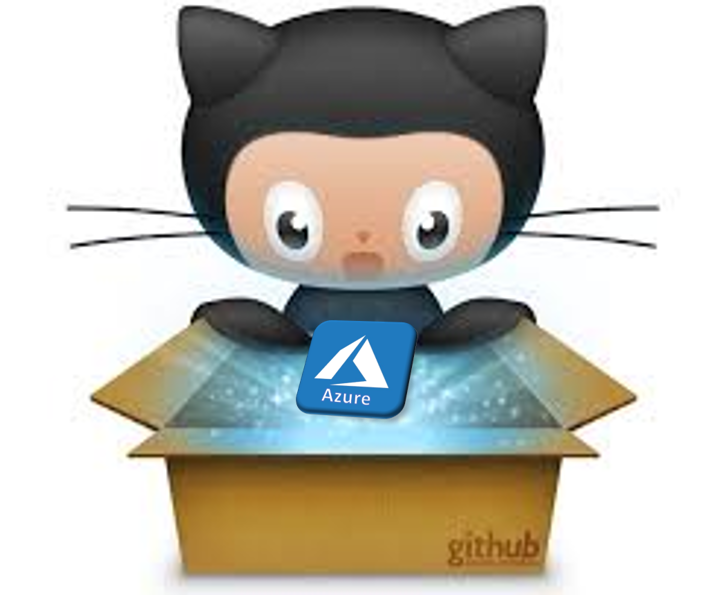 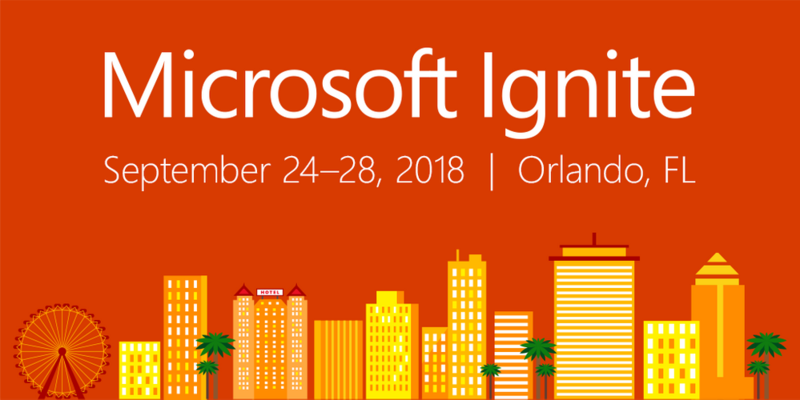 Go to the Azure AD App Registration link. 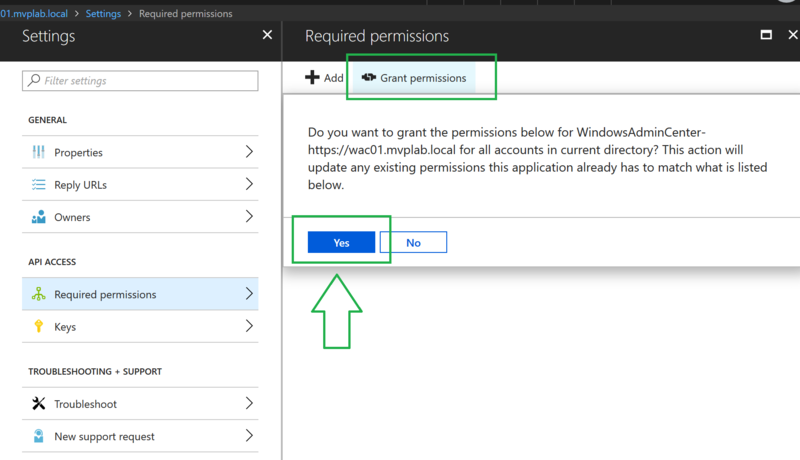 Windows Admin Center has now Permission. 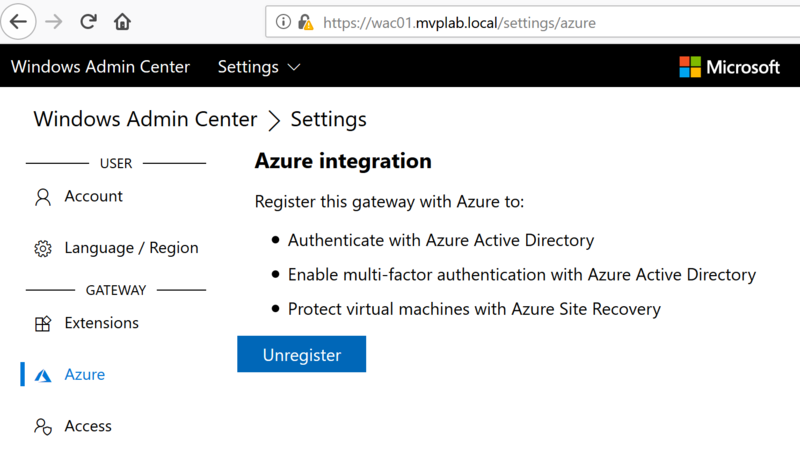 Microsoft Windows Admin Center (WAC) Gateway is now registered to your Azure Subscription and you can use Azure AD Multi-Factor Authentication and Azure Site Recovery to protect your Virtual Machines with WAC. 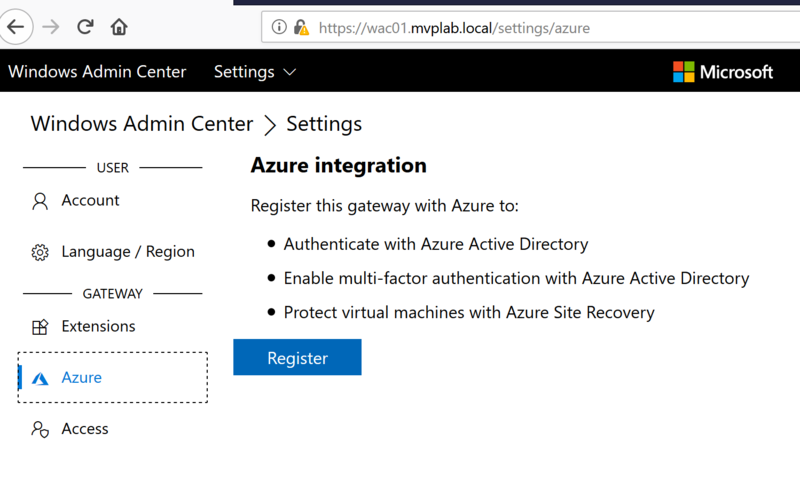 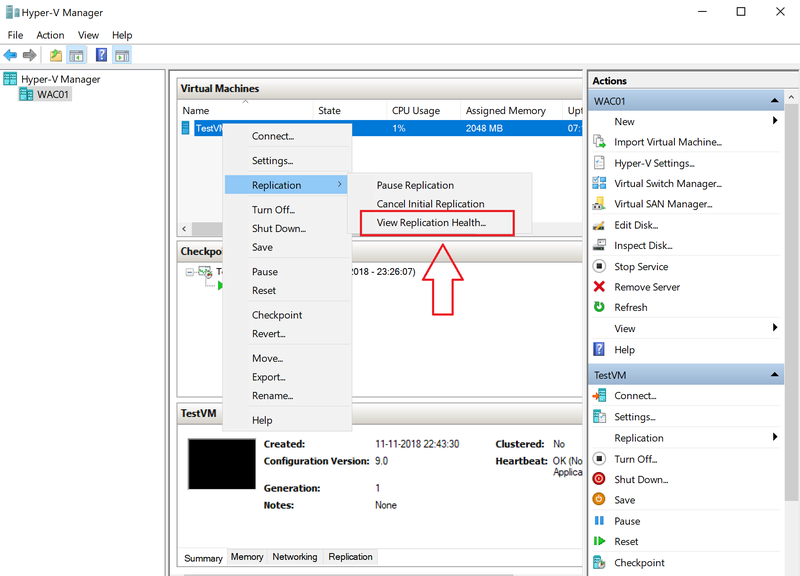 IMPORTANT : Before you can add Microsoft Azure VM’s to Windows Admin Center, you have to set the Azure Network Firewall portal settings and also the Microsoft Windows OS Firewall of the VM. 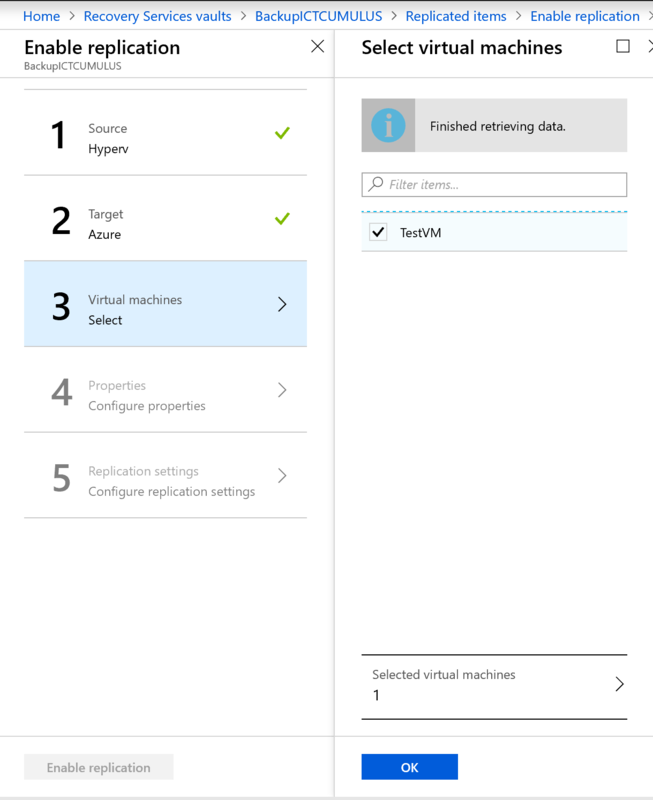 Networking Settings of the Azure VM. 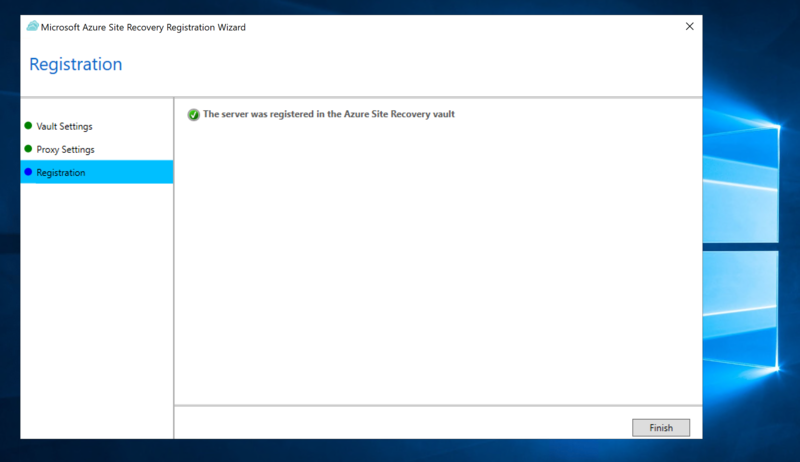 Open for http WAC port 5985 and for https 5986. 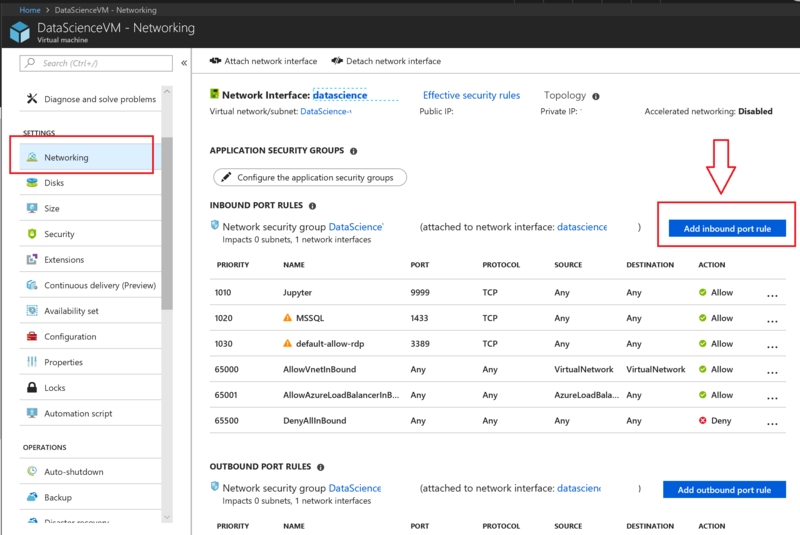 To make the port more Secure you have these Options in the Firewall rule. 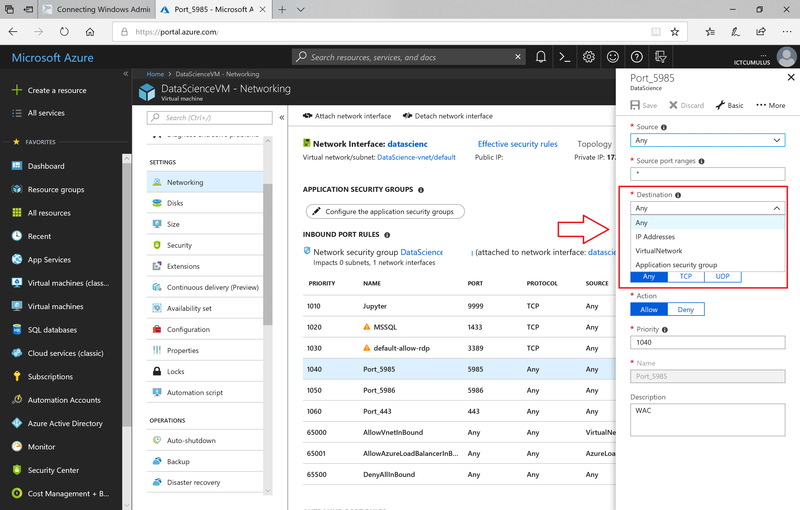 Now you have done this for Azure Networking in the portal, you have to do the same in the Firewall settings of the Virtual Machine Inside. 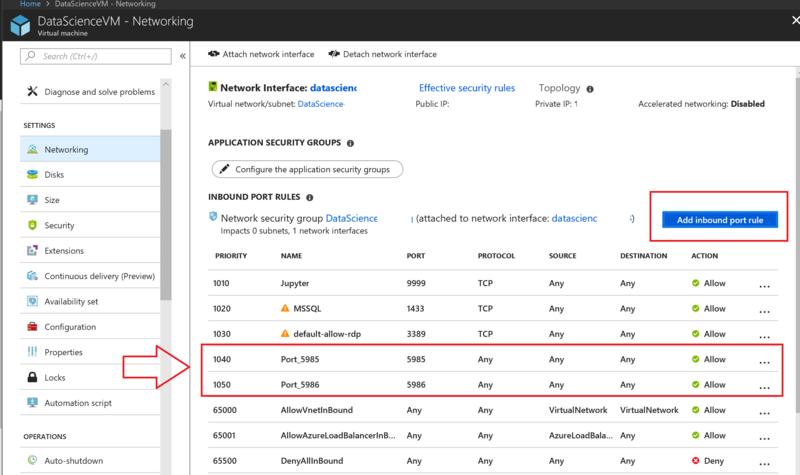 Allow Port 5985 and 5986. 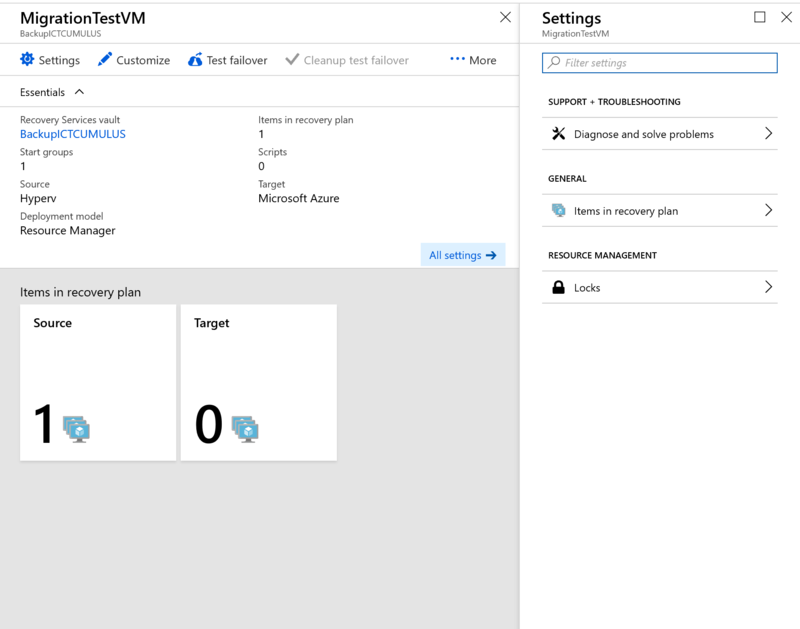 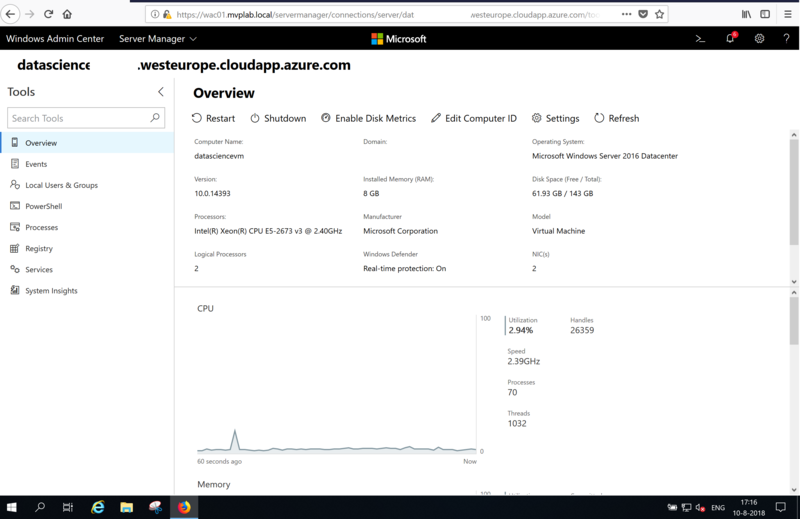 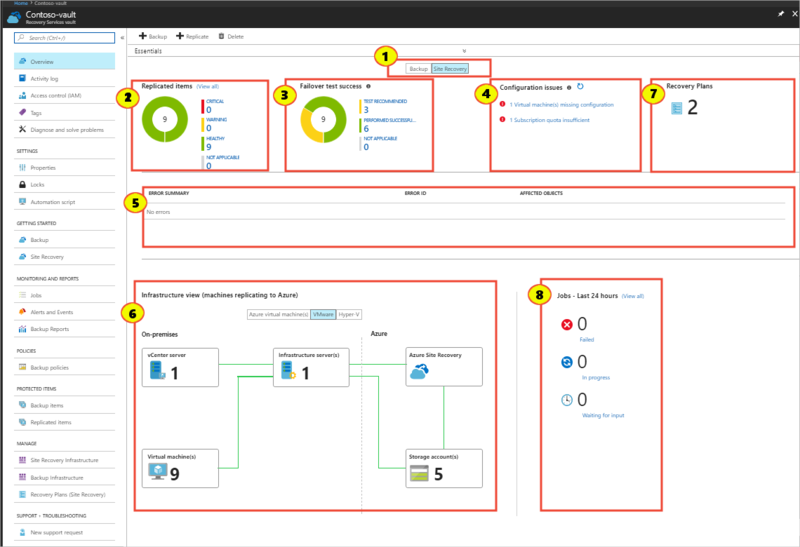 Here you see my Azure VM in Windows Admin Center On-Premises. 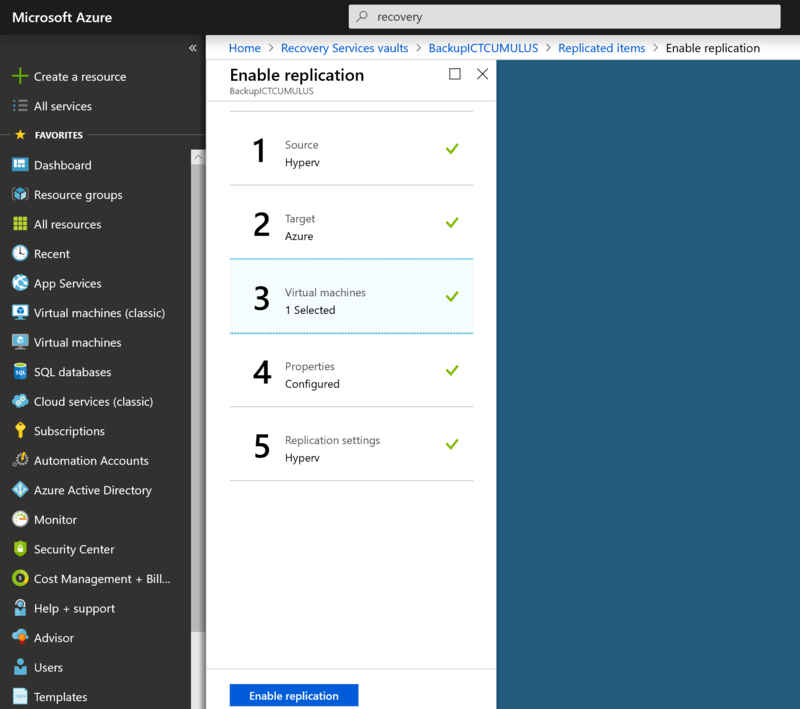 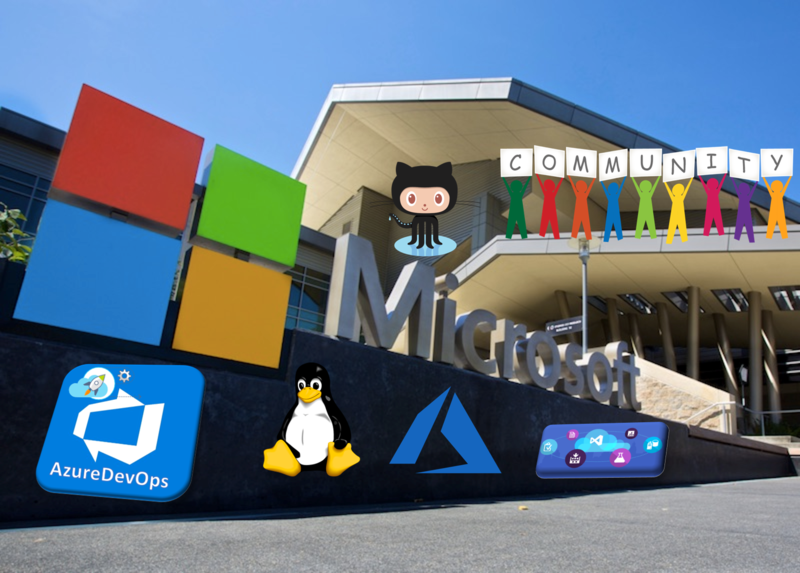 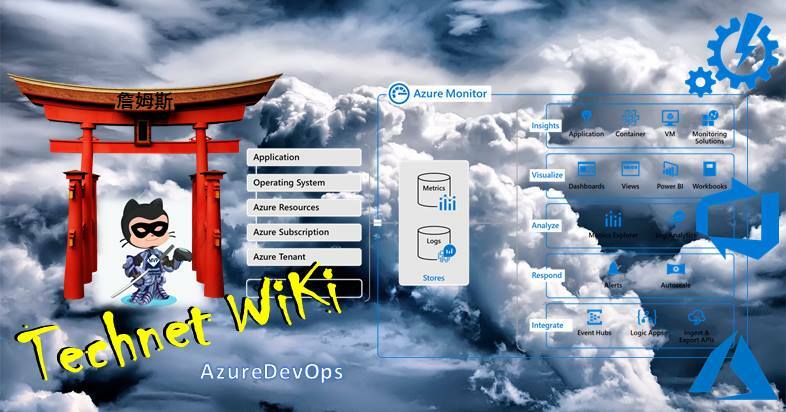 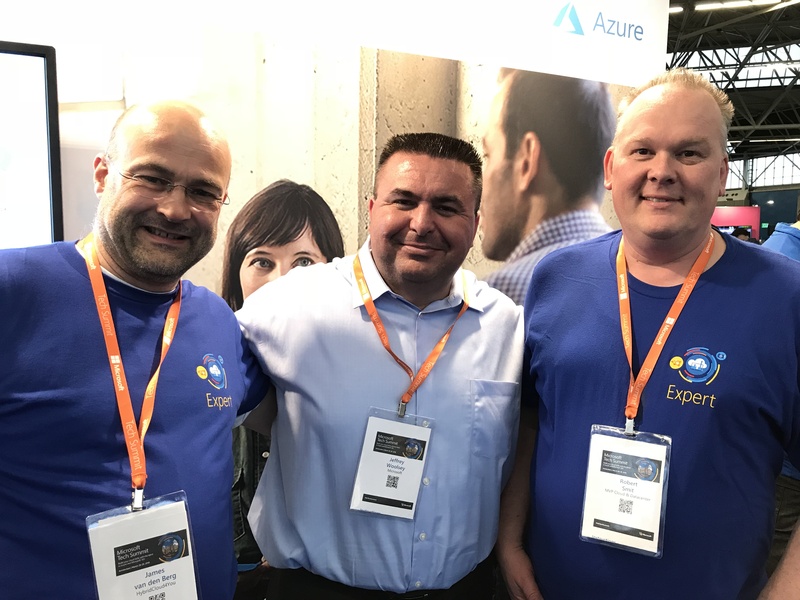 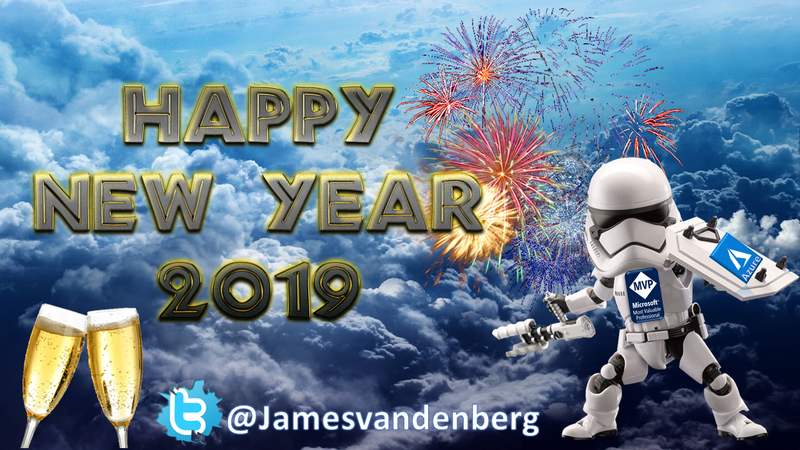 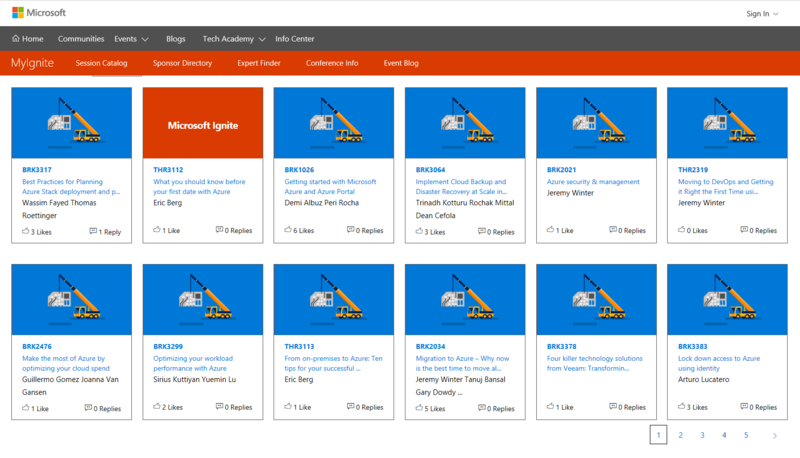 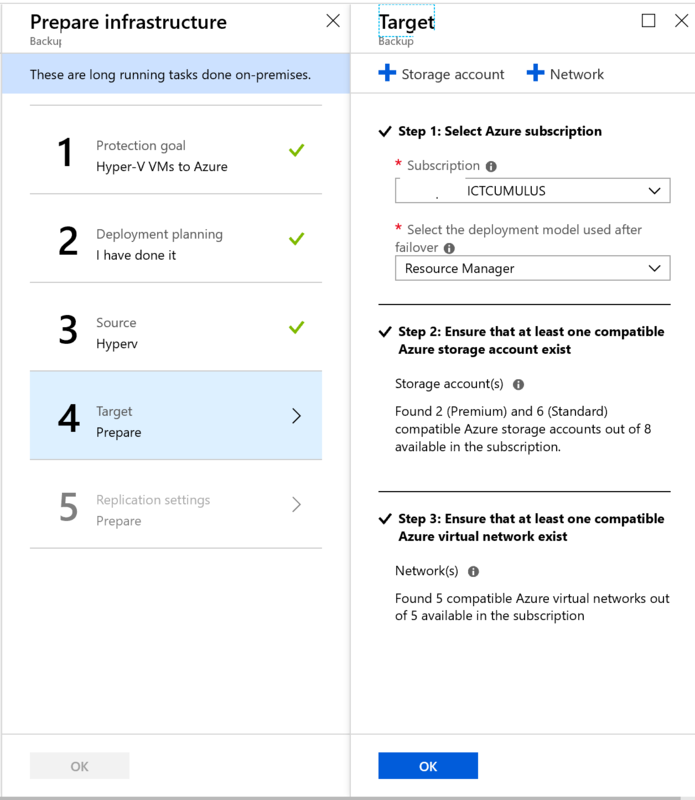 Categories: ARM, Azure, DSVM, Hyper-V, Microsoft Azure, Windows 10, Windows Server 2019, WindowsAzure | Tags: Azure, Cloud, HyperV, Management, Microsoft, MVPBUZZ, WAC, WindowsAdminCenter, WindowsServer2019, winserv | Permalink.